Questions? Please call Mindy Goldstein, Director of Annual Campaign and Alumni Relations, at MindyG@campramahne.org or 781.702.5290 x109. 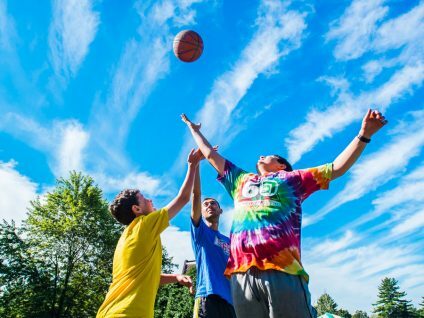 Camp Ramah in New England is recognized as tax-exempt under section 501(c)(3) of the Internal Revenue Code. 100% of your donation is tax-deductible. Our Federal Tax ID number or Employer Identification Number (EIN) is 043035964. It’s easy to honor someone important to you with a donation to Camp Ramah in New England. Choose the e-card option at the bottom of our donation page, and your note honoring the memory of someone or marking a birthday, Bar or Bat Mitzvah, wedding or other special occasion will go out immediately. If you prefer, we will send a letter to the person that you are honoring with your donation to Camp Ramah in New England. Double your gift with a match from your employer! What if your support for Camp Ramah could go even further? If your company has an Employer Matching Gift program, you can double or even triple the impact of your donation. If you have questions, please contact Mindy at the email above or at 781.702.5290 x109. 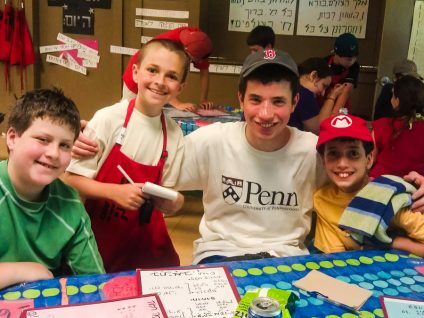 One of the most advantageous ways to contribute to Camp Ramah is through a gift of stock. It’s giving made easy, and you may get a larger tax benefit than by making a cash donation. To contribute stocks, see our 2-step instructions below. If you need additional information, please contact Mindy Goldstein, Director of Annual Campaign and Alumni Relations, at MindyG@campramahne.org or 781.702.5290 x109. 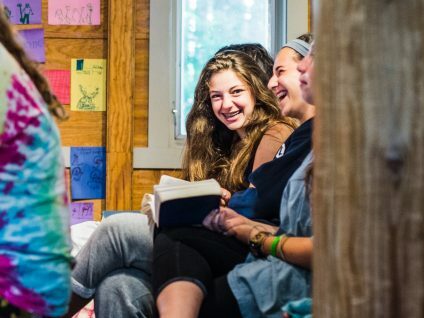 The easiest way for you to gift stock or securities to Camp Ramah in New England is through an electronic transfer (DTC) from your brokerage account to the account of the National Ramah Commission, which handles stock gifts made to Camp Ramah in New England. Account name: National Ramah Commission Inc.
Stock donations transfer without accompanying donor information. In order for us to identify your gift and send a tax receipt, you will need to provide us with the gift details including the name of the stock, the number of shares and the date of transfer. Please provide this information to Mindy Goldstein, Director of Annual Campaign and Alumni Relations, at MindyG@campramahne.org or 781.702.5290 x109. You can make a gift to Camp Ramah through your Donor Advised Fund (DAF). DAFs can be easily set up through many Jewish federations and community foundations or through your financial institution to serve as a flexible charitable giving vehicle. Please contact your local federation, community foundation or financial advisor for specific advice about how to establish a DAF.